Try these steps if you don't receive your Gems of War purchase immediately. 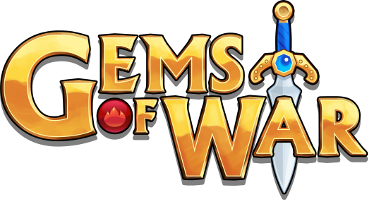 To receive a refund, you'll need to contact the publisher of Gems of War on your platform. If you are in the shop or another menu, return to the World Map and then select the Shop Icon again. If this does not work, try returning to the World Map and opening the PVP Menu, then return to the shop again. This forces the game to manually connect to the server. Sometimes the purchase may take up to an hour to come through. After waiting an hour, try force closing the game and reopening it to see your purchase. If you still don't have your purchase after waiting an hour, contact support with "Purchase Issue" selected and a screenshot of your receipt - we'll sort you out! Please include a receipt. NOTE: Didn't get a receipt? Your purchase may not have gone through and you may not have been charged. Some receipts can take up to a day to send.